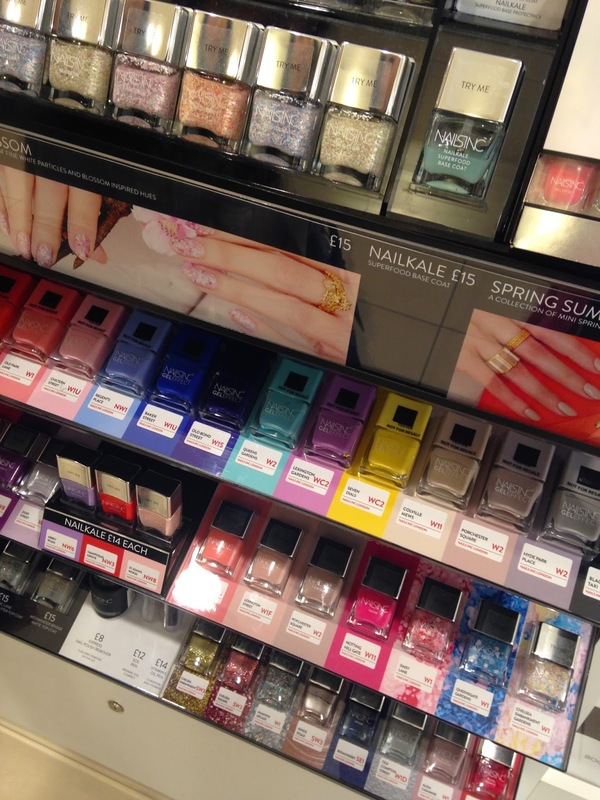 House of Fraser recently hosted Beauty Confidential, a great opportunity to try out new products, see some familiar faces and also watch the fabulous Emily Jayne in action as she hosted a Colour Consultation. Heading over to the Corporation Street store after work, I met up with Ting from The Ting Thing and Tasha from NutellaTasha to see what's new in the world of beauty. 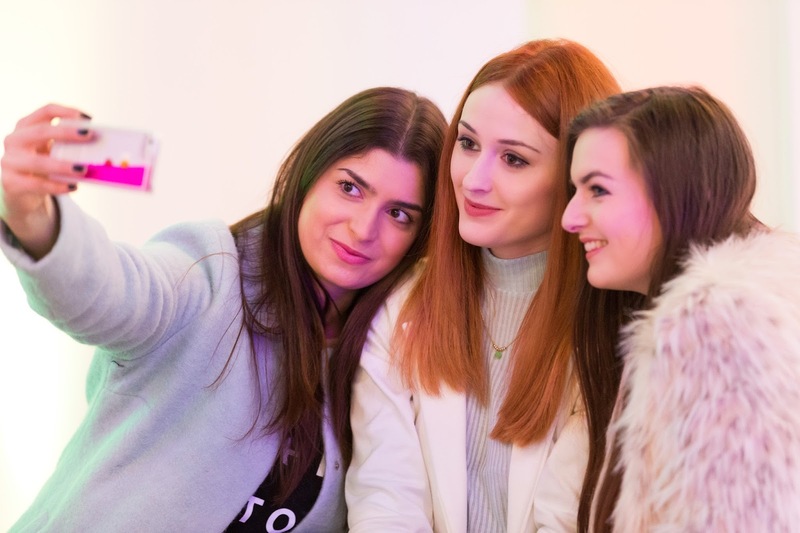 There were plenty of offers to choose from, such as £10 off beauty favourites such as Estee Lauder Double Wear and Origins Modern Friction if you made a purchase on the evening. 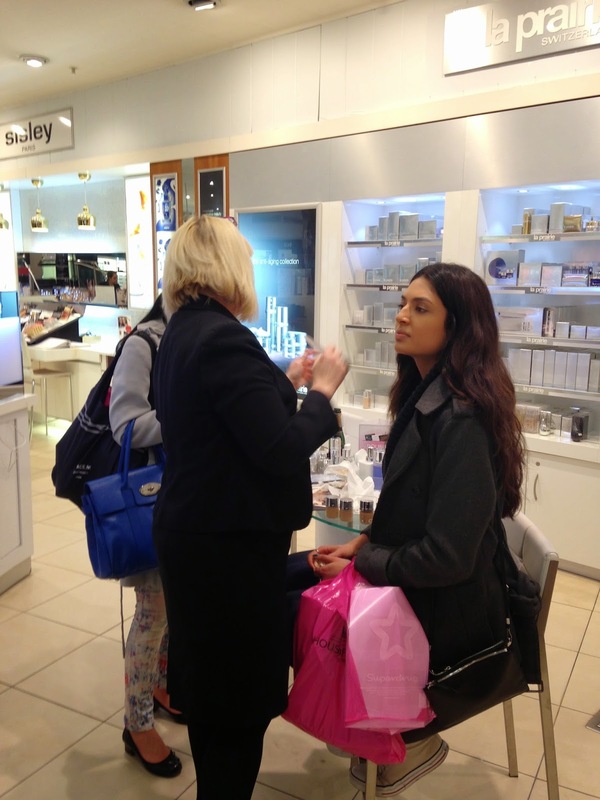 There were also mini facials, lip makeovers, free gifts with purchase and more. Our first stop was at the stand where Tasha was foundation matched and treated to a mini facial massage. I've never tried anything from this brand before and was intrigued at the products on offer, especially the Skin Caviar Concealer and Foundation which is sheer genius. 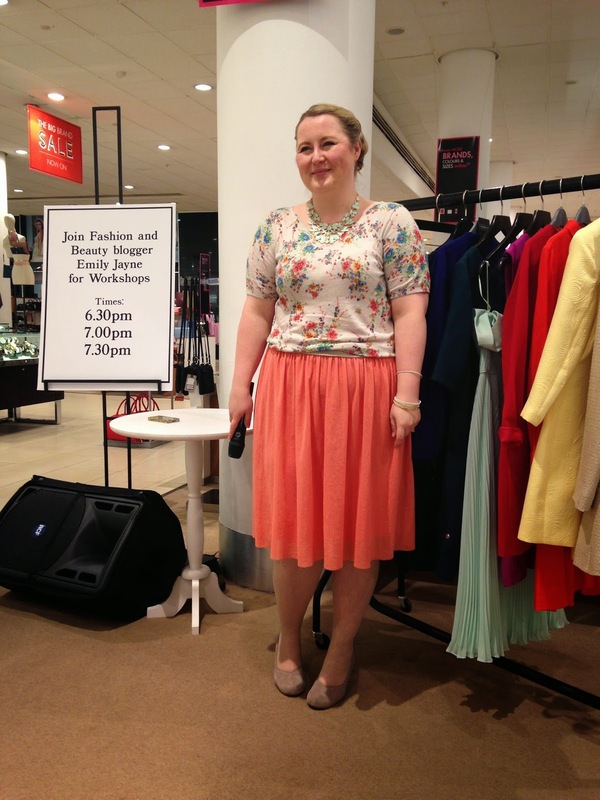 We then headed over to see Emily Jayne in action as she talked us through what colours to wear based on our skintone, hair colour etc. 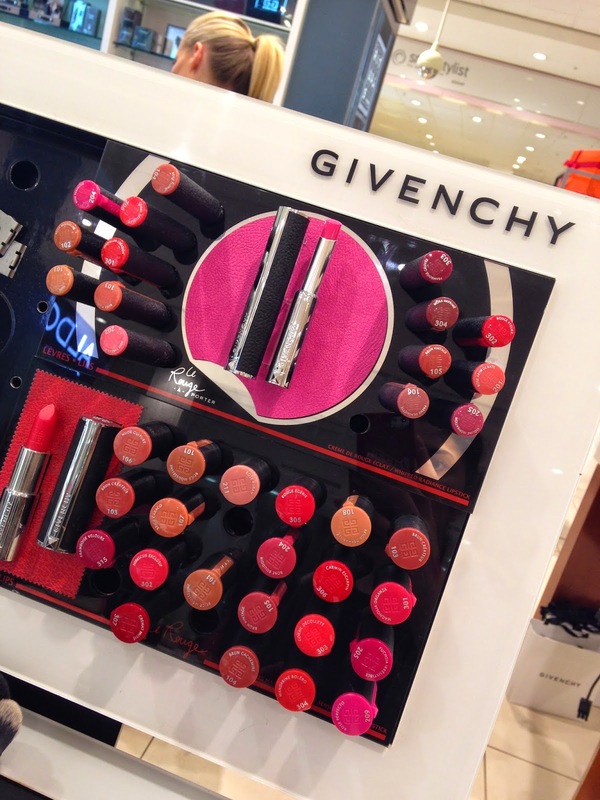 Finally, we went to Givenchy to try out a range of lipsticks called Le Rouge a Porter, a launch that I seem to have missed! 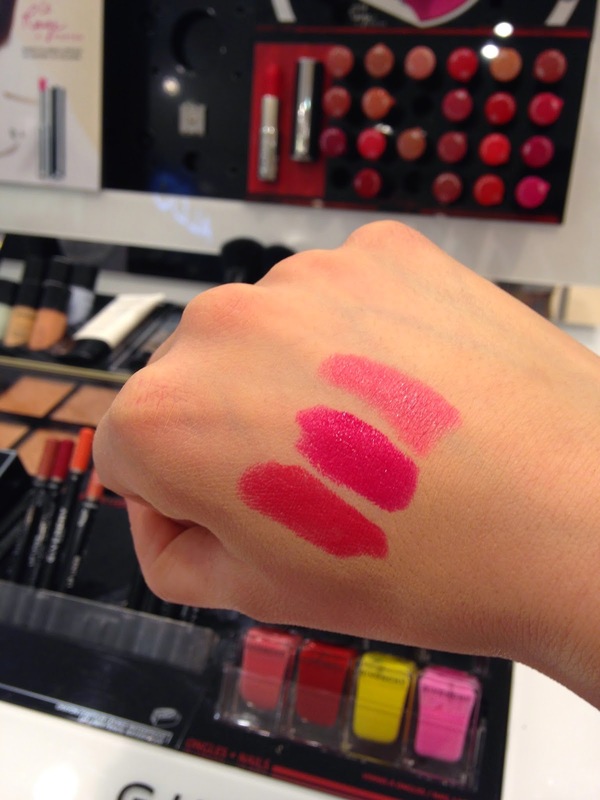 I tried out three beautiful colours and swatched them for you too. How divine are these? The texture is incredible and so pigmented! 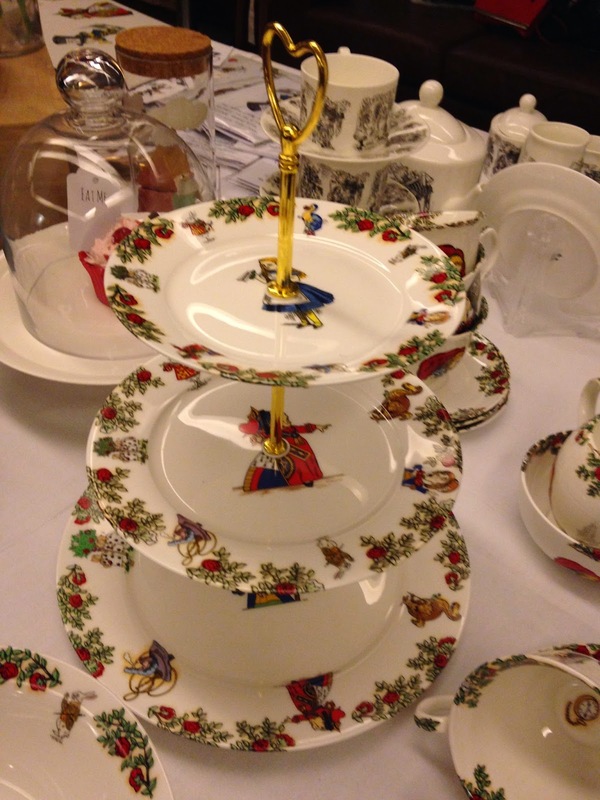 Thank you to House of Fraser for the invitation. 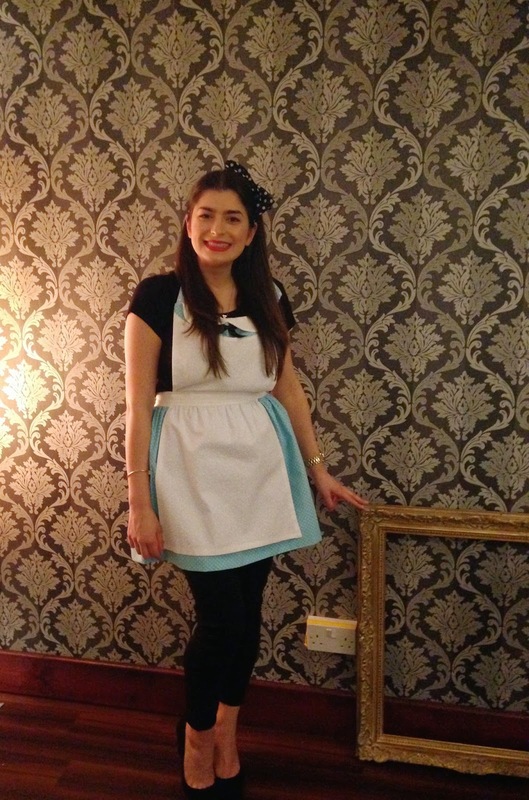 The tale of Alice's Adventures in Wonderland has captivated the imagination of children and adults for over a century, so much so that it has even spawned a TV series, Once Upon a Time in Wonderland. 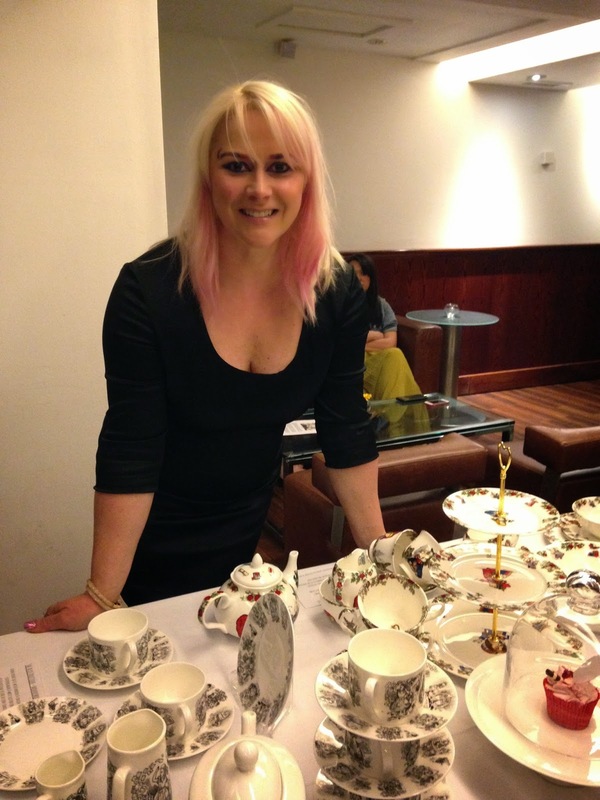 It has also inspired Tracie Bedwood to open a themed boutique in Birmingham's Great Western Arcade. 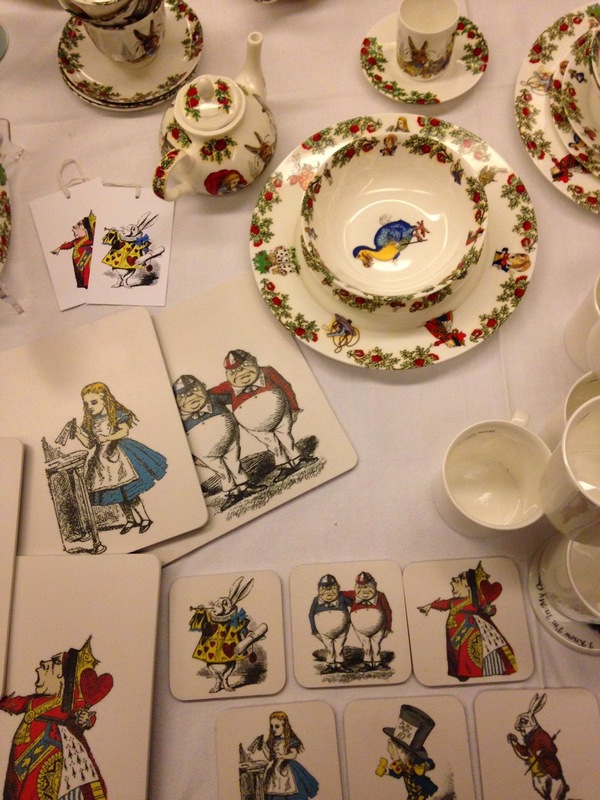 The Alice Boutique brings this story to life with a wide range of exclusive Alice designs inspired by John Tenniel's original illustrations, including fine-bone china and stationary and even a complete tea party set, all designed and made in the UK. 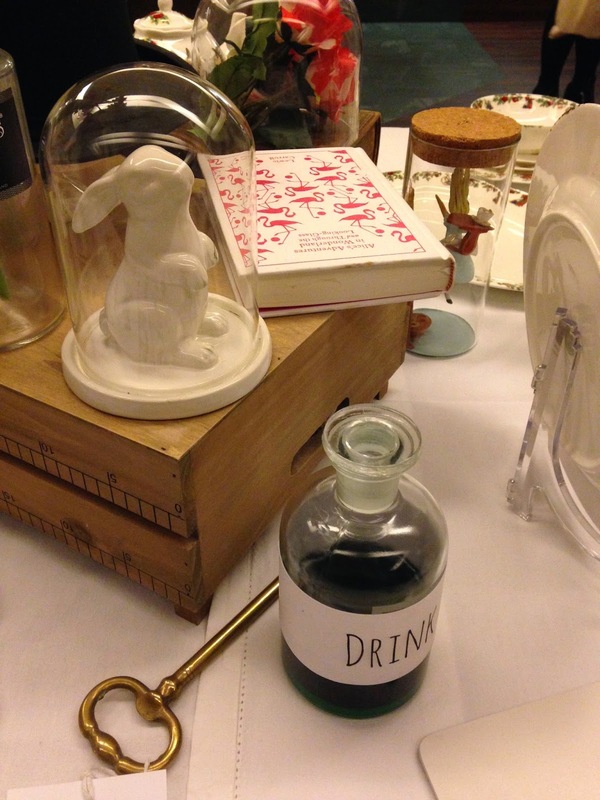 I was invited along to The Bureau on Colmore Row to celebrate the launch and fall down the rabbit hole. 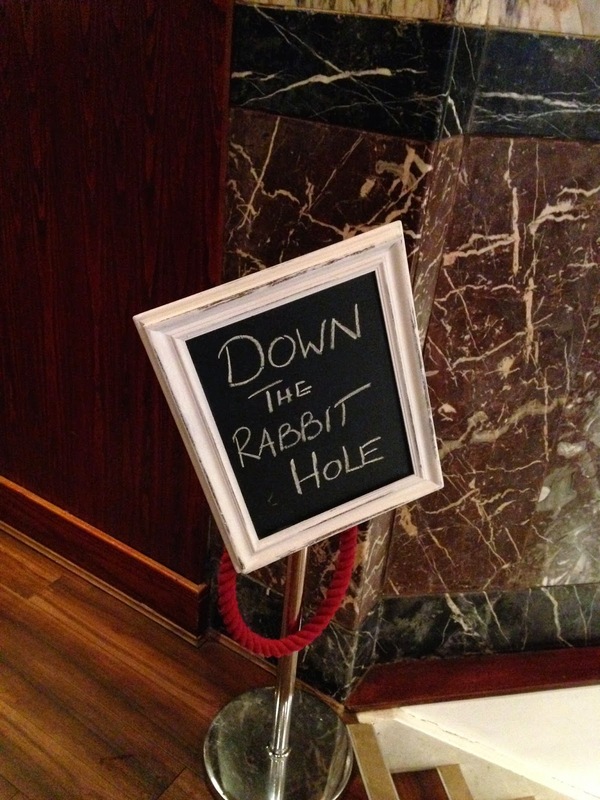 Leading us downstairs to a private room, a sign reading "Down the rabbit hole" was a taste of things to come. 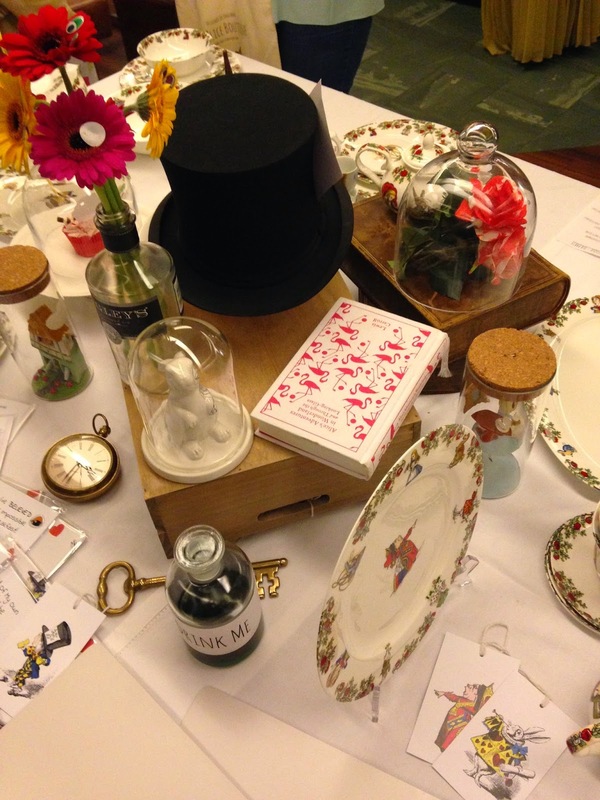 In the hidden room a table was laid full to the brim with Alice goodies, and there was a host of fun accessories to play dress up. 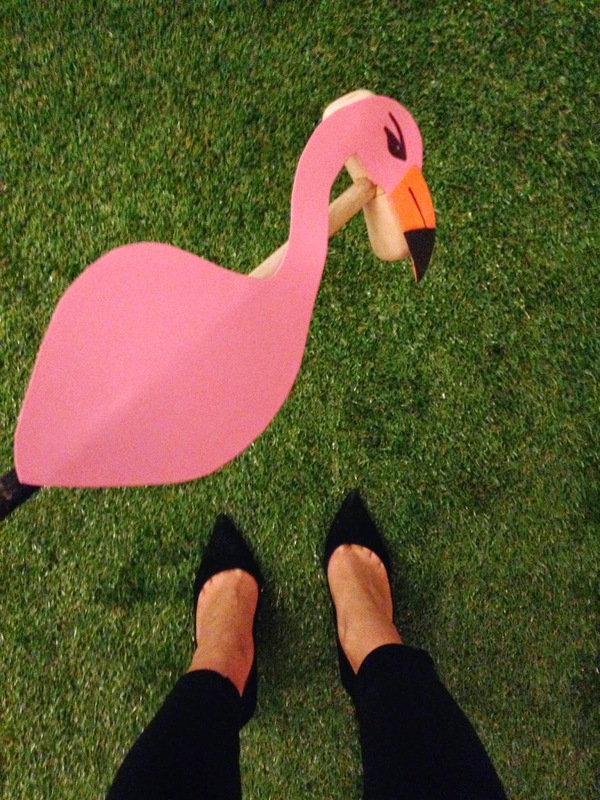 From a golden picture frame to an Alice apron, a Cheshire cat mask and bunny ears, we had lots of fun taking pictures and playing croquet with a faux flamingo! 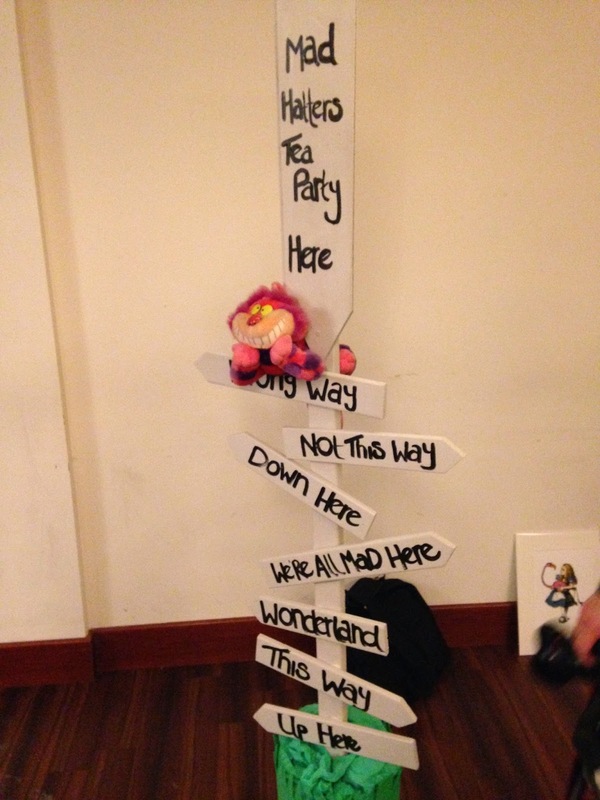 Everything was imaginatively laid out too, with little labels saying Eat Me and Drink me on the food and drink. 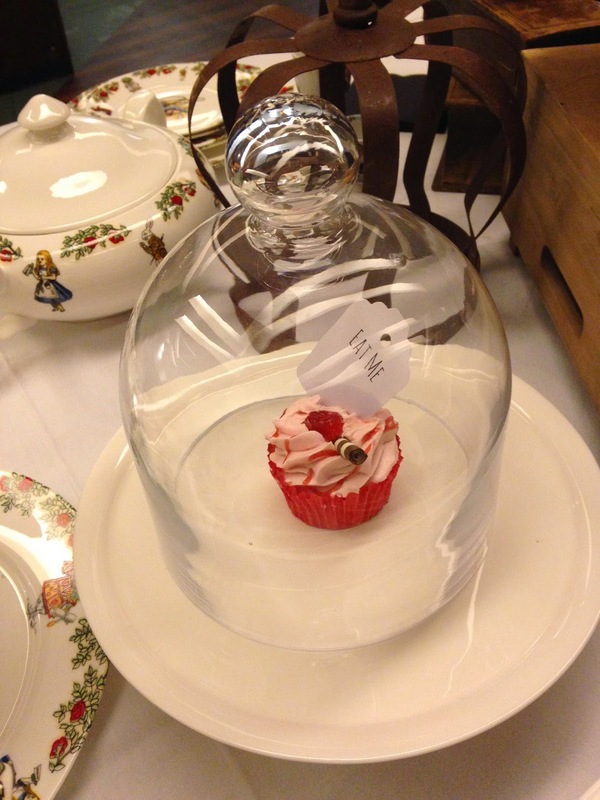 We had a sneak peak of the fabulous products available to buy too, from tote bags, notebooks and mugs to cards, coasters and cake stands! 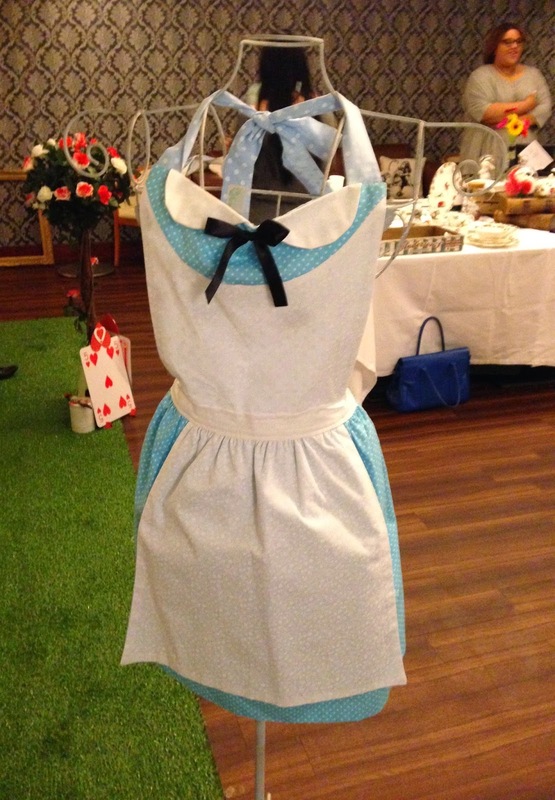 Thank you to The Alice Boutique for hosting the event, I know where's first on my list for adorable gifts! We're at that awkward time of year between seasons, and although we're ready to let go of AW15, we may still be deciding what to wear for SS15. 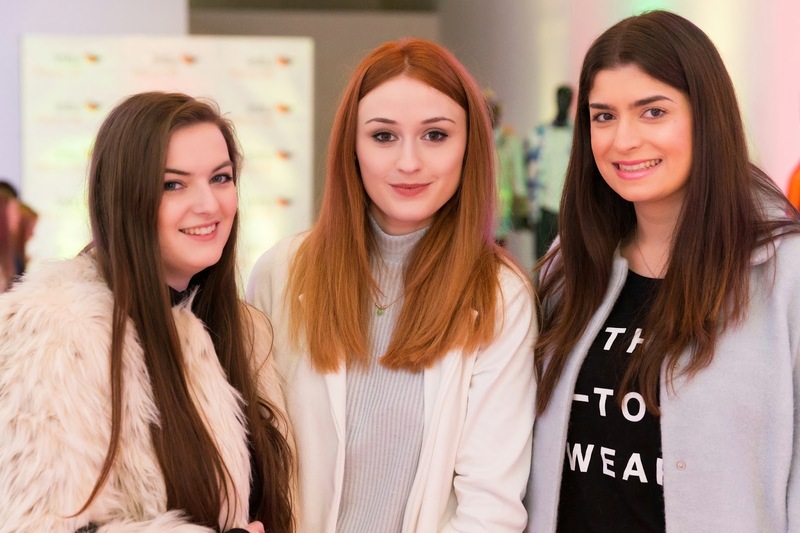 Help was at hand at Intu Merry Hill shopping centre when they recently hosted a Spring Summer catwalk on the 28th and 29th March. 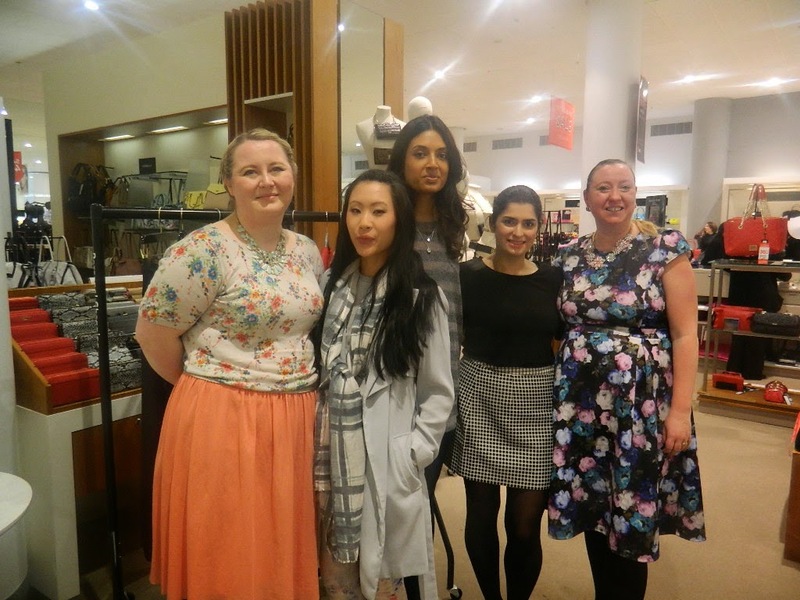 Luckily, I was able to catch a glimpse of the latest looks at a special fashion preview event along with some fellow bloggers. 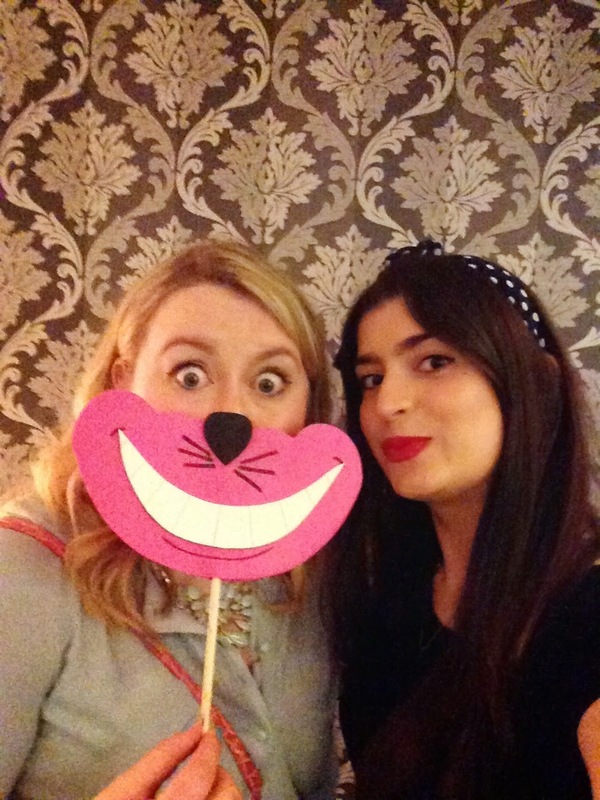 Hosted in a secret room inside the centre, we made our way into a hidden room to find a bloggers paradise including a photobooth, cupcakes, canapes, champagne....and a catwalk! 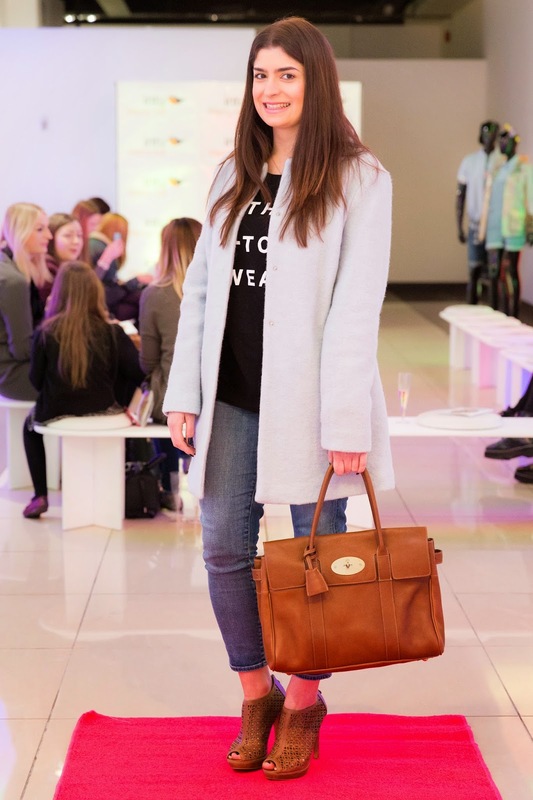 Flanked by mannequins dressed head to toe in looks from some of the high street's best stores, we were treated to a look at SS15 as interpreted by River Island, New Look, Oasis and more. With everyone perched delicately on front row seats (they know how to make us feel like VIP's! ), we watched key looks from 10 retailers strut down the catwalk on the backs of some very glam models. Fringing and Platforms - so 70's! I felt so inspired by the event that I went ahead and styled up an outfit for SS15 based on the denim and 1970's trend. Now that you've seen some key looks for SS15, what will you be wearing this season? The launch of Gas Street Social has been eagerly anticipated by Birmingham ladies and gentleman for many a month. One of the new names to join The Mailbox is Gas Street Social, a social eating ad drinking house with a real focus on social. With a number of openings taking place, I was invited along to the press dinner along with a number of familiar faces to the Birmingham food scene. The evening was an opportunity to try the food and drink on offer, explore the venue and also meet managing director, Adam Freeth. Starting off at the bar, where many a good meal begins, I took it easy with a Raspberry & Rhubarb, a temperance cocktail before making my way over to the gorgeous long, wooden table. A sidenote here on the interior design; it's all very industrial chic. Inspired by the city's industrial heritage, think rose gold metals, exposed wood, long tables for easy sharing and snug booths for intimate meals. 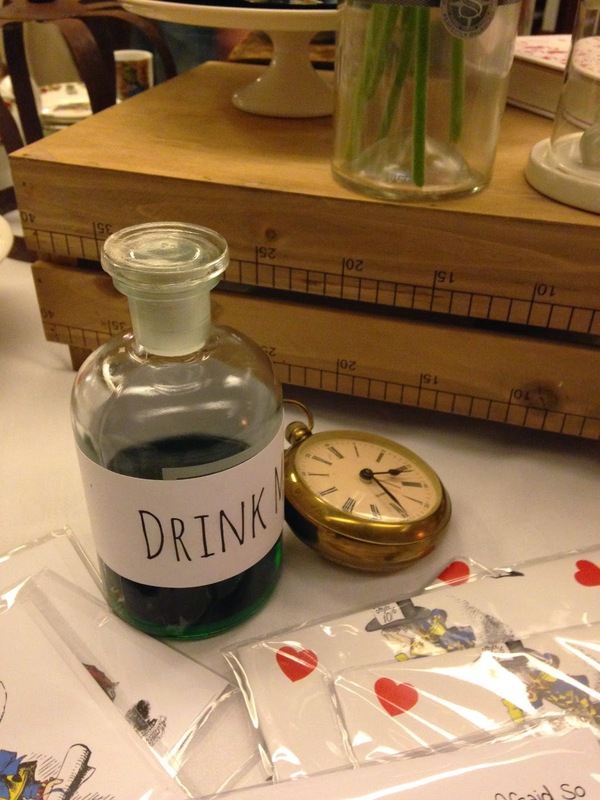 Along with sharing platters, hence the social element of the venue, there are also sharing drinks on offer. I digress. To whet our appetites we started off with mixed olives the size of walnuts and beautiful charcuterie sharing boards of wild boar, truffled salami, lomo and chorizo sourced from The Forest Pig, served alongside bread from local bakery Peel & Stone and two chutneys (apple and onion). Coupled with a Negrogie cocktail, their take on the classic Negroni, the our tastebuds were truly beggining to tingle. We managed to squeeze in a glass of Albarino next, with a delicate poached pear flavour and hints of vanilla and cinnamon. Onto starters, I opted for Seared Scallops ahead of the other options of Beetroot Tart, Slow Cooked Ox Cheek, Wood Smoked Loch Duart Salmon Skewers, Crispy Chicken Vol au Vents and Crispy Arancini Balls. The scallops were full of flavour, crisped on the top and bottom and rich and buttery. In a classic garlic and lemon sauce and topped off with salty capers, this was a nice little dish. Next came the Rib Eye Steak, which I chose instead of the Slow Cooked Pork Belly, Duck Breast, Seabass Fillet and Mushroom Gnocchi. A hefty 10oz portion served with a choice of sauces (herb butter for me), this was very tender. The sides here deserve a very special mention. We shared the triple cooked chips which were good sized, extremely crispy and by far the best I've ever eaten as well as root veg and creamed kale which was divine! Please do try the sides because trust me, they are delicious. Finally, we rounded off the meal with dessert, which for me was Poached Pear to cater to my gluten free diet. This was an absolute delight, perfectly cooked, not too hard and not boiled away to oblivion either with some fantastic cinammon and vanilla flavours. I would heartily recommend this dessert, and it's fruit too which means it's allowed. For my fellow diners, the Pistachio Creme Brulee went down very well. This was all rounded off beautifully with an Old Fashioned, just to ensure we'd been given a taste of the fabulous drinks available too, served from a casket at the table. How very social. The menu is a great combination of small plates for one or for sharing, as well as larger plates just for you. I have a feeling the sharing plates are going to be a huge hit, and the charcuterie board in particular is just a world away from wasabi peanuts. The guys behind Gas Street Social are encouraging visitors to share their moments on Twitter and Instagram using #iamsocial and it's already becoming quite a well used hashtag in our fair city. At the next available opportunity I will be back to carry on what I've started and work my way around the cocktail menu and try out the Cheese Baord, Fish Board and Seabass. 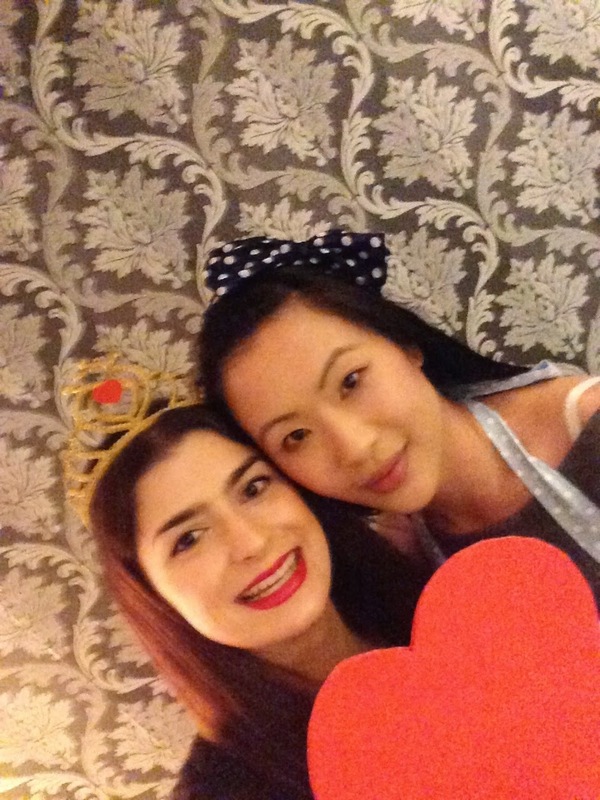 Thank you for having us Gas Street Social - we will be back! You can take a look at the menu here and the website can be found here. *With thanks to Adam, Vicky and Natalie for inviting me to the meal.